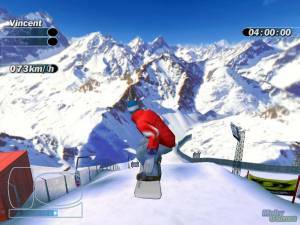 Shaun White Snowboarding: Road Trip is a separate release from the Xbox 360 and PS3 versions called Shaun White Snowboarding. 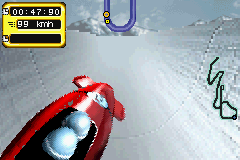 Making full use of the Wii Balance Board accessory, Road Trip allows players to hit the slopes in a more dynamic way. 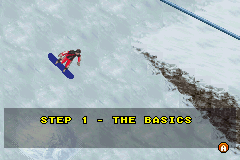 By using the Balance Board as a virtual snowboard, players can ride the various runs and perform tricks and other techniques such as carving, grinding and speed-boosting. 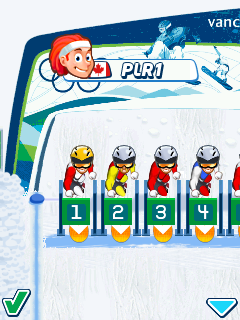 As with many snowboarding games, there are numerous riders with various skills and abilities to unlock and choose from. But unique to this title is the choice of a cameraman companion. 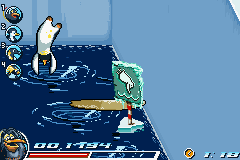 This second character films your run from behind you and also provides a particular momentary power-up. 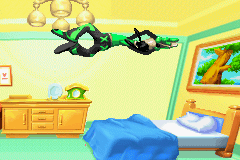 This may be a Speed Boost, Jump Boost or Trick Boost etc. On your road trip, you will visit many locations and continents. In a sense, you're following the trail of Shaun White himself. This is demonstrated when he makes occasional calls to your mobile phone and updates you on his new location. 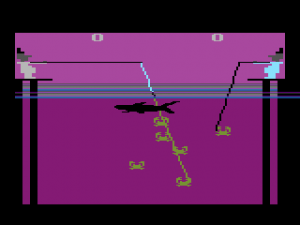 You're physically one location behind him, and need to complete certain runs and objectives in order to progress to the next location, whether it is Canada, Japan, Switzerland and many other exotic and snow-capped places.